Slow Factory: Velo-city: ECF Sells Out to Big Helmet?!? Velo-city: ECF Sells Out to Big Helmet?!? Part One of a Two-Part Series on Velo-city Global in Vancouver. For Part Two click here. Fear comes for Free! 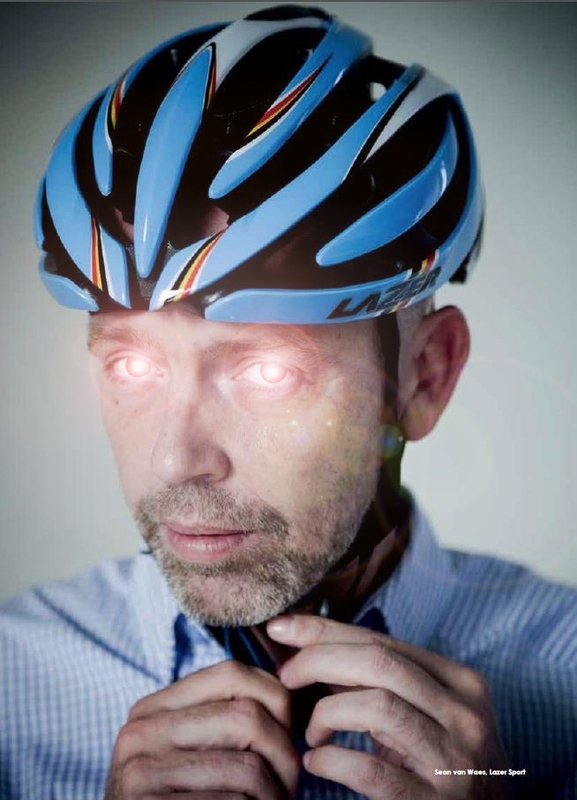 Sean van Waes, the Flemish "Head Helmeteer" at Velo-city sponsor Lazer Helmets (of Belgium), used his evil lazer rays to fry the analytical parts of people's brains at ECF (and perhaps the Velo-city organizing committee). This just in: Norco Bicycles plans to "outfit every registered delegate [at Velo-city Global in Vancouver] with a new Lazer cycling helmet". 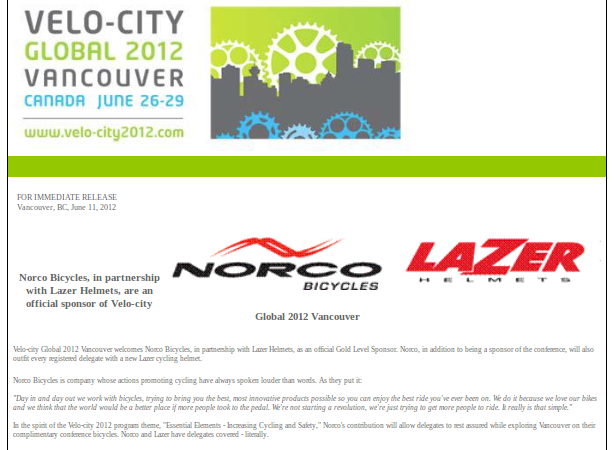 Norco and Lazer are "Gold Sponsors" of the conference, which starts in two weeks. Vancouver is in British Columbia, which has an all-ages mandatory helmet law. From the helmets page of the European Cyclists' Federation (ECF): "ECF are [sic] not against individuals choosing to wear helmets, however we are against mandatory helmet laws and shock-horror helmet promotions. We do this via support to our members, and also by becoming active members in a wide range of trans-national forums." ECF is pro-choice on helmets, but promotes the idea - which I agree with - that helmets make cycling look more dangerous than it is, and that pushing helmets is a distraction from much more effective methods for making cycling safe. However, there is nothing in the hosting agreement for Velo-city in Vancouver - and presumably in the agreement for the next Velo-city events in Vienna (2013) and Adelaide (2014) - to prevent helmet companies from sponsoring the event. 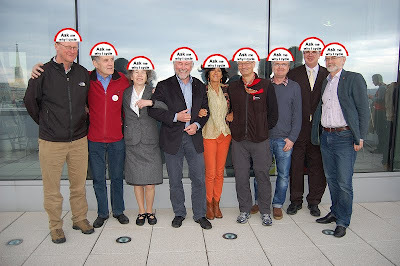 The Board of ECF. I have questions for them. 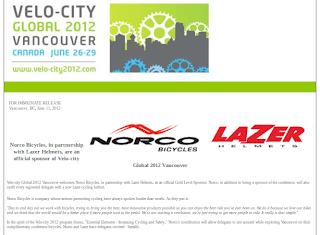 From the press release above: "In the spirit of the Velo-city 2012 program theme, 'Essential Elements - Increasing Cycling and Safety,' Norco's contribution will allow delegates to rest assured while exploring Vancouver on their complimentary conference bicycles. Norco and Lazer have delegates covered - literally." "I am confident the helmet saved my life, or at least saved me from having extreme brain damage." "I was hit by a car going 55 mph while I was riding my bicycle. story made short I went to the hospital and suffered a concussion and severe lacerations and road burn. I was wearing a Lazer 02 helmet at the time, and it saved my life." "You saved my brother's life." 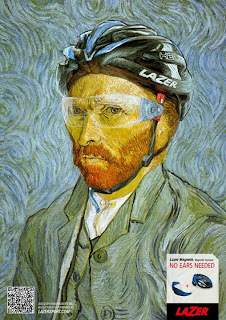 Yes, Lazer put a helmet on Vincent van Gogh. He is from Zundert, about 35km from Mr. van Waes's hometown of Antwerp, Belgium. But Zundert is in the Netherlands. Lazer put a helmet on a Dutchman. In an advertisement. No Dutch artist wearing normal clothes on a city bike has ever worn a helmet. Momentum magazine, one of the two "Media Sponsors", has in its June 2012 digital edition, adverts from three of the major helmet manufacturers (including Lazer), and in another in a seemingly endless series of helmet-buying guides, the introduction says a "helmets [...] can be invaluable additions to your everyday repertoire." The Lazer stuff is much worse, but still, this is not language that the ECF should be associated with. The magazine has dozens of helmeted and an equal number of unhelmeted heads, so the imagery is not that big a problem (though they've done worse in the past). A few weeks ago I learnt that Velo-city organizers were trying to find a pro-helmet person for a debate planned for the conference. As far as I know they did not find anyone. None of the politicians in the all-ages mandatory helmet British Columbia, none of the sponsors... apparently not even the helmet company is willing to defend their product. Lazer and Norco are probably thinking that some people will not bring their own helmets (and of course many delegates do not own helmets). They know that there is that mandatory helmet law, and probably many are wondering if it will be enforced. (I started a Facebook Page in order to promote a protest...). I won't be going, and I also wonder what will happen. Will many simply decline the free helmet? Is that enough of a statement? (What is the ignition temperature of a helmet?) I don't think so, and to get back to my main point, I think that ECF as the owner of the Velo-city Series has been painfully sloppy about this whole issue, and I do think that all the examples I give do add up to "shock-horror". On the other hand, via email some time back I mentioned to a current ECF board member that it was clear to me that part of the reason Vancouver was selected was due to a desire to disrupt the helmet law in B.C.. He did not deny this... he did not say anything. I would like to be optimistic but given the way everything has been handled I am not sure I should be. The operator and supplier of the new bike share system in Vancouver was just announced. Vancouver won’t pursue a helmet law exemption. As nearly everyone reading this knows, the bike share system in Melbourne, Australia - run by Alta Bike Share - has been a disaster due to mandatory helmet laws there. "My masters, Fear, Greed and Opportunism, bid thee welcome." For previous entries on the topic of helmets, see here. The bike share inDublin has being a stupid successful in a couple of years two million hires on 450 odd bikes. The city officials who started bike share had to resist helmet demands at the start. It has gone a long way in defusing this debate and allowing choice. So far two people have had to go to hospital to get scrapes seen to and bandaged. A good record in a car centric city. Another aspect people fail to see is that not all bicycle rides are equal. If I'm descending a mountain road or riding a technical dirt trail or in the peleton, you can bet I'll be wearing a helmet regardless of the law. Those rides are sport rides, more like the lacrosse or hockey example from the CAA. But if I'm riding down a cycle path at 12 mph in a city that respects cyclists I shouldn't need a helmet any more than a someone walking across the street or running down the sidewalk does. That's not a sport, much less a contact sport. Did a helmet save Theo Van Gogh's life? That's very interesting. Do you have a link to the press release where they say they are giving out helmets? Eric, if you click on the above image of the e-mailed press release it shows all of the text in it (with the exception of the descriptions of Lazer and Norco). 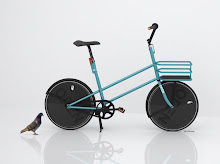 The press release is not (yet) available on the Velo-city website. Thanks for blogging this Todd. It would be nice if ECF would comment on it. 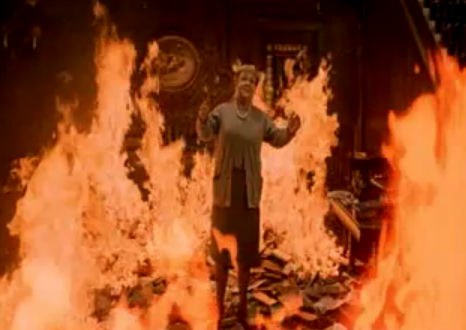 That the press release is not available on their websites suggests this is promotion compromise solution. I think this and some other things are not on the website because everyone is over-capacity preparing the conference... and since they sent out a press release someone is clearly proud of it. Norco and possibly Lazer are throwing a lot of cash at the conference but - to repeat - spending tens of thousands on the helmet giveaway is ridiculous as - to just give one example - 20 or 30 delegates who are financially-challenged could be registered instead. 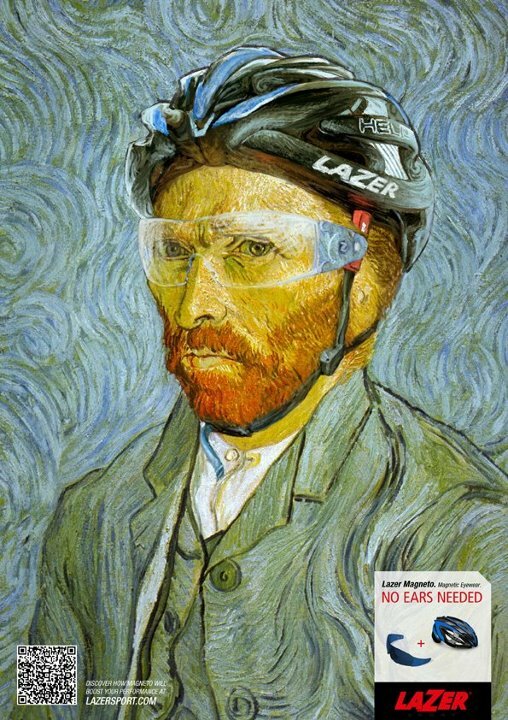 Had Vincent Van Gogh the horrible headaches, those led him to cutting-off his ear with a razor due to helmet wearing? And the whole affair gives a feeling that ECF drifts from cycling-advocate organization towards profit-focused one. I wish I'm wrong. Is the ECF the Elite Cyclists' Federation?